Should I keep the dual point distributor or go breakerless? If breakerless what is the reliable choice? 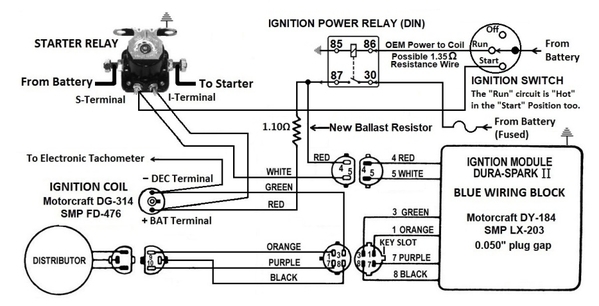 Okay guys I would like to seek opinions on the way to go with the ignition system. The car (9193) is all original and I wanted to keep it that way but accessing the points is a pain as is removing the distributor ( P/N D3PE-12127-PA ). I pulled it to pre-oil the engine so I took a good look at the dual points. Not good with one of the oil felts bent over and dry. From a long time ago I remember dual point distributors being a constant maintenance item. Always in need of adjustment after a short period. Not fun considering the poor Pantera access so maybe a pointless ( Petronix ) setup would be wise. Trouble is I tried that on my TR6 and the damn thing failed twice. Once on the 405 and that sucked so I went back to a single point setup for reliability. So I have doubts on Petronix quality. Next, I am unable to locate the correct point and condenser P/N's for the distributor. FD8285XV was what was installed but I want to be sure they are the correct points for the dist. Would really like to know the OEM ( Motorcraft )P/N and what oil to use on the felts. The quality of the aftermarket and new parts is not what it once was so maybe I could find an original point / condenser set. Also can't locate the initial gap to use before setting dwell. I don't even have a dwell meter but I could use a Fluke if I had to or buy one. What do you guys think the smart call is ? I don't need a race car ignition and I sure don't want to be stuck on the 405 again. Performance while driving in LA is not as important as reliability. Here you could be shot or run over if your car breaks and slows other people down. I was lucky with the 405 break down. Don't want to go there in the Pantera. Thoughts, info and or advise needed. With the energy to create a fat blue spark across a wider spark plug gap a good “breakerless” electronic ignition can ignite fuel air mixtures that a breaker point ignition never could. 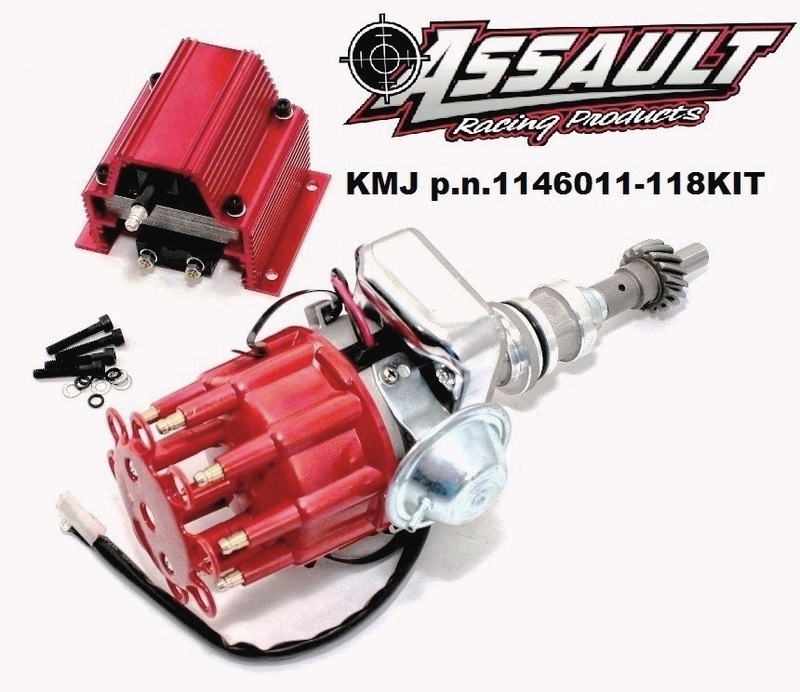 This reduces “misfires” which has several benefits including easier and faster starting, more low rpm torque, more horsepower at all rpm, fewer emissions and better fuel economy. The engine’s maintenance is reduced as there are no breaker points requiring periodic adjustment. Reducing misfires also makes an engine run smoother (less vibration) therefore a good electronic ignition reduces vibration and harshness. And since the forces causing vibration are destructive forces, reducing vibration means those destructive forces are reduced, improving the durability of the engine. A Ford Duraspark ignition is reliable and tune-up parts are readily available. 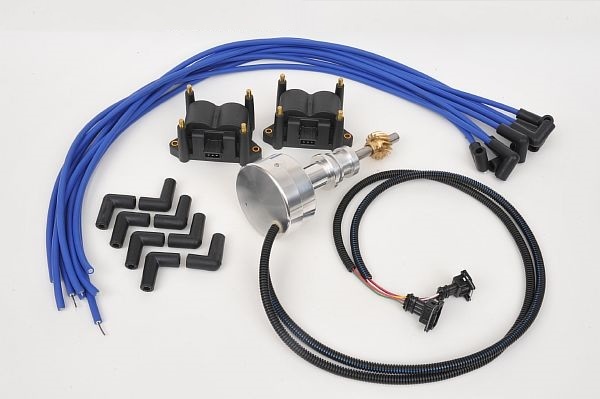 A Ford ignition will be preferred by those who favor factory parts over aftermarket parts. Although several Duraspark ignitions were manufactured, only two are of interest. The modules are visually identified and referred to by the color of the wiring “strain relief” where the wires exit the module. The two modules of interest are the “common application” Duraspark II version which has a blue “strain relief” and the high output Duraspark I version which has a red “strain relief”. Choose a Duraspark II ignition for engines rev limited at 6200 rpm; the Duraspark II ignition is a fixed dwell ignition, it operates identical to breaker point ignitions in that aspect. Fixed dwell ignitions properly charge the coil over a narrow band of engine speed at mid-rpm; below that the coil is over-charged and above that the coil is under-charged. The ignition operates with 1.10Ω ballast resistance and 1.17Ω coil primary resistance; thus the coil operates on 7 volts. Spark plugs are gapped at 0.050 inch for Duraspark II. Choose the high-output Duraspark I ignition for engines rev limited at higher rpm or if you prefer the best performing ignition regardless of the rev-limit. The Duraspark I coil operates at full voltage (i.e. no ballast resistance) and the coil has a very low 0.70Ω primary resistance. The charging of the coil is controlled by the ignition module which varies dwell angle based upon engine speed so that the coil charging “time” remains constant; this is known as dynamic dwell. Dynamic dwell charges the coil properly at all engine speeds, including high rpm; the coil is never over-charged or under-charged. Spark plugs are gapped at 0.060 inch for Duraspark I.
I've been reading the "Performance Tuning" post and it's a gold mine of info for a Ford know nothing guy. What ign. system are you running ? I priced new duraspark I parts. About $600.00 for a complete setup. Sound right ? BTW, looked at a photo of your ride. Talk about the silver bullet. Beautiful ! I don't like talking trash but if you read Petronix reviews on the Summit site there are more than a couple that said their's also failed. I never left the ignition on, it just failed. The stuff being made today is not what was once made. I say this as my 1956 Emmerson fan is keeping me cool. Punky, don't spend much time fooling with your stock 'dual-point' distributor. ALL internals for Ford distributors interchange back to about 1959 and at least as far forward as 1988. So rip the thing out the easiest way possible (the rubber o-ring is likely stuck to the block) and use virtually any wrecking yard dizzy body with all your existing parts. It's possible to tailor the centrifugal advance curve, adjust vacuum advance and even use a Ford-built big-cap adapter on those stock bodies. Electronic innards fit inside, too. Duraspark I was the best performing ignition Ford had manufactured up until the introduction of the TFI ignition in 1983. It is the best ignition choice for “high performance” applications, but the very existence of Duraspark I has never been common knowledge because it was only installed in cars sold in California during the years 1977 – 1979. Its use was limited because the cost of manufacturing the ignition modules was several times the cost of manufacturing the Duraspark II modules. Duraspark II became the common ignition upgrade for older Ford V8s simply because folks weren’t aware there was a better alternative. Duraspark ignition modules and coils are sold by SMP; p.n. LX203 for the Duraspark II module and p.n. FD476 for the Duraspark II coil. 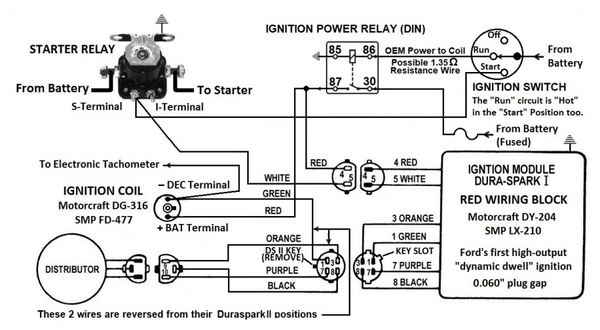 Duraspark I ignition modules are p.n. LX210 and the Duraspark I coils are p.n. FD477. The modules use different coils so caution must be taken to pair each module with the proper coil. Duraspark II wiring harnesses are available via the aftermarket (Painless Wiring p.n. 30812), they can be employed for Duraspark I applications by (1) swapping the position of the green and orange wires at the 4 pin module connector, (2) removing the flat blade “key tab” from the 4 pin module connector, (3) removal of the extended “tab” from the Duraspark I coil tower so that the Duraspark II coil connector can slip on, and (4) omitting the ballast resistor included with the wiring harness (the Duraspark I coil operates at full voltage). A good ignition wire set is also available from SMP (p.n. 69404); Pantera owners will appreciate the fact that this ignition wiring set has coil wires in 3 different lengths. A Motorcraft breakerless distributor which is compatible with all North American Cleveland engines and the early (i.e. 1972 – 1978) Australian Cleveland engines can be sourced from any 1975 through 1982 351M, 400, or 460 cubic inch Ford V8. Cleveland engines built in Australia from 1979 – 1984 were equipped with Bosch distributors having a smaller diameter distributor shaft; thus the diameter of the distributor shaft bore inside the block is too small for the shaft of a Motorcraft distributor. The distributor calibration for most applications should be 20° centrifugal advance which begins advancing at 1000 rpm and is all in by 2800 rpm plus 18° initial advance for 38° total advance. A Ford distributor should be equipped with a “sleeve and plate assembly” marked 10L or 10R in order to limit it to 20° centrifugal advance. A sleeve and plate assembly with a wider “notch” can be modified to reduce the width of the notch; the proper notch width for achieving 20° centrifugal advance is 0.410 inch. Engines equipped with pop-up dome pistons may require more than 38° total advance to achieve full output, in those instances the distributor should be calibrated for 26° centrifugal advance which begins advancing at 1000 rpm and is all in by 3300 rpm plus 14° to 18° initial advance for 40° to 44° total advance. A Ford distributor should be equipped with a “sleeve and plate assembly” marked 13L or 13R in order to limit it to 26° centrifugal advance; or a sleeve and plate assembly with a different “notch” width can be modified to adjust the width of the notch; the proper notch width for achieving 26° centrifugal advance is 0.488 inch. 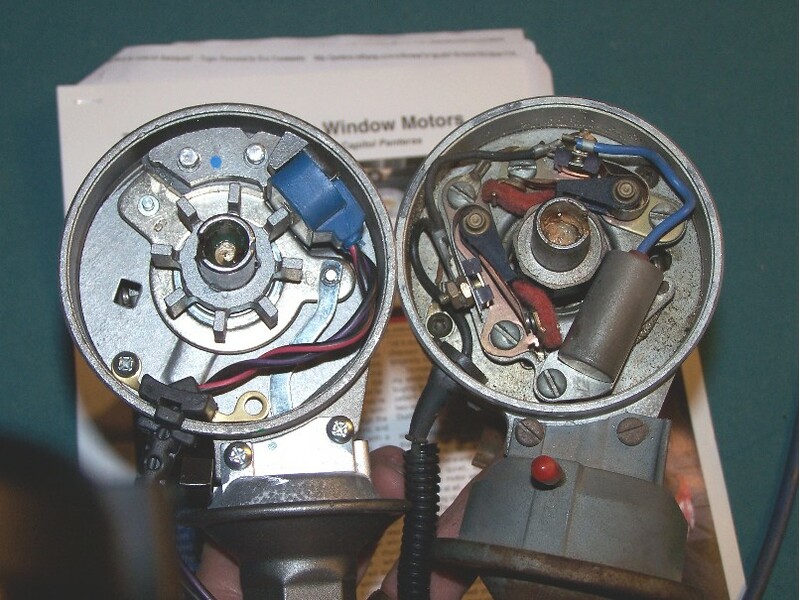 The distributor’s vacuum advance should be connected to the carburetor’s “ported” vacuum connection; a vacuum retard connection (if provided) should remain opened to atmosphere. There are businesses, such as Ignition Engineering of Anaheim California (714-334-9143), which can rebuild and recalibrate distributors for you. There are also a couple of guys on the internet, eBay, etc that sell rebuilt & re-curved Ford distributors. I buy the modules & coils as new old stock off eBay. Everything else, i.e. wiring harness, cap, rotor, wires; are also available on eBay. The distributor and the wire harness are the expensive parts. $600 sounds about right for a package. PUNKDOG; Just completed a Duraspark II installation on mine. With the aforementioned comments, its the way to go. Purchased a rebuilt Motorcraft distributor, the module, coil, wire set and distributor cap from the local NAPA store for less than $200. One compelling reason for the Duraspark II is availability should a part fail. I will not be searching for some exotic ignition system that cannot be readily sourced. Local auto parts stores typically carry the parts. Additionally, just go to "Find" at the top of the posting and type in Duraspark and George's wiring schematic and installation instructions are at your finger tips. I have heard that the Duraspark big caps may not fit the earlier cars? Interference at the firewall? Has anybody used a Duraspark ignition with the small cap? Any crossfire/misfire issues? The big cap will interfere with the bulkhead. I use the regular cap with no problem. I use Duraspark II with the small distributor cap on 5357. No issues with spark jumping. I have also used the big cap distributor on 5357, with no interference problems. I went to the small cap distributor because everybody told me horror stories about how bad it was going to be, but I never saw any problem. Once I got the distributor and wires installed, there was no need to change back to the big cap. The big cap won't fit for me for two reasons. 1) there isn't enough room between the runners on the Weber intake manifold and 2)I have the firewall padded out with foam insulation 1-1/2" and the cap wouldn't clear that. I thought there was a "sticky" on ignitions? I don't remember having rpm limitations with the "II" but I changed that out to the Pantera-electronics ignition. That one you just set the rpm limiter on. The SMP p.n. AL-482 cap is designed for an International Harvester distributor made by Prestolite. The cap does indeed fit the Motorcraft distributor, although the locating method is a little flakey; i.e. a slot in the cap uses a vacuum advance screw as a locating tab. I have a NOS distributor in which the screw head is the right size and makes a nice snug fit. But I also have a rebuilt distributor in which the head of the vacuum advance screw is smaller, so the cap's location is not as secure, it has wiggle room. The small cap is 4 inches diameter, the big cap is 5 inches diameter, so using the small cap gives 1/2 inch additional clearance. It might be helpful if we knew the chassis numbers of the Panteras that can't use the larger cap. Are they all Pre-L? Or are the issues intake manifold clearance like Doug mentioned? Yes, that's the one. Found that about 20 years ago. It has been a dependable cap. It IS an International Harvester application. It's all by itself in the "parts books". A mid- '70s 350 engine as I recall? It depends on how you want to do your wires though. If you want female cap terminals then the standard Ford/Motorcraft works fine. The brass terminal cap is the one that you want though. The thickness of the cap itself is more substantial with it. I suppose one is heavy duty, brass, and the other "standard", aluminum? Make sure that you get the matching rotors with the cap. You need to look at where the retaining clips lock to the cap as well. Make sure that they are going to lock firmly into the notches for the clips. It can be a little funky there. I would be surprised to hear of cross-firing caused by the smaller diameter cap. As long as the engine is in a good state of tune, and the plugs and ignition wires are in good condition it shouldn't be a concern. The ignition shall only “cross-fire” when doing so provides a path to ground that is easier to travel than following the proper path to ground would be. When these ignitions were new they were igniting some very lean air/fuel mixtures diluted with exhaust gas (EGR), thus the engineers were rightfully concerned about cross-firing. 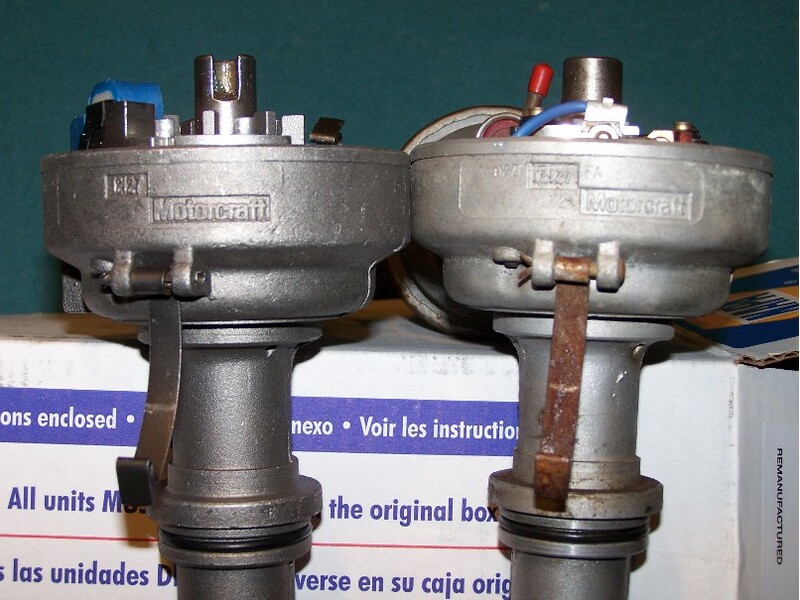 If your engine is equipped with a carburetor or fuel injection system providing a better air/fuel mixture, and/or if the EGR has been misplaced sometime during the last 40 years, the concern for cross-firing is greatly reduced. The 1976 Ford breakerless ignition was basically the same ignition as the 1977 Duraspark II ignition, yet it was factory equipped with a 4 inch cap (made from a new blue material that was supposedly more high voltage resistant). No cross firing with the small cap in my experience. FWIW, Ford says the big distributor caps are to reduce cross-firing both inside and outside the cap, and being vented (the odd protrudence between wire towers and coil) reduces ozone that's produced inside the cap from rotor sparking. Finally, big caps only take modern sparkplug ends due to the male-type cap connectors. Ford also once produced weatherproof rubber distributor boots for boats and cars with semi-exposed dizzy caps- but they only fit the big caps. Boots are nice for Panteras that are driven in bad weather. The cap boots were introduced on mid-80's Mustang GT's. They were infamous for containing moisture under them. I think they were discontinued as a result? 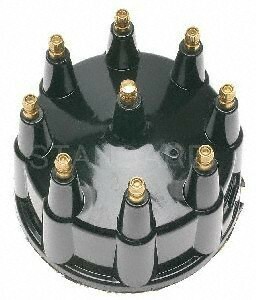 I purchased the 1976 Ford Duraspark rotor for the smaller 4" distributor cap, SMP p.n. 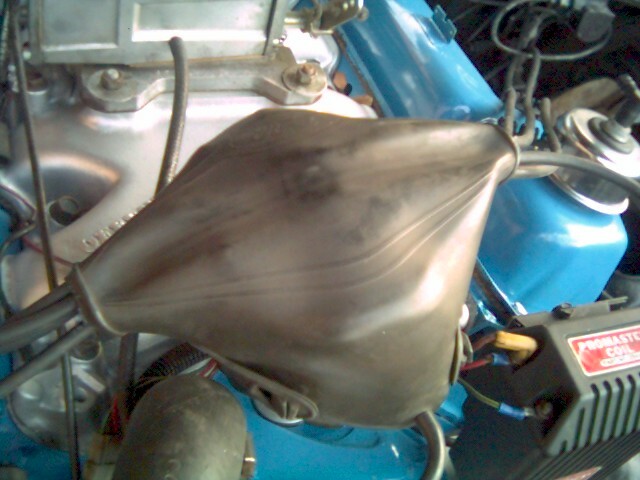 FD-115, and checked it on a NOS Duraspark distributor with the 4 inch International Harvester (IHC) distributor cap, SMP p.n. AL-482. The IHC cap is an inch smaller in diameter and about 5/8 inch shorter too. The cap in the pictures is actually a Borg Warner (BWD) cap, from their "select" line of auto parts. Notice the terminals are brass. BWD's part number is C200. The terminal on the tip of the rotor, and the terminals in the cap have about 1/32 inch clearance, this was true for both the big Duraspark cap and the proper rotor for that cap, as well as for the IHC cap and the smaller Duraspark rotor. The small rotor also lines up with the IHC cap terminals height wise. 4V&Proud will be pleased to know the IHC cap is notched so that it is oriented on the distributor with the same terminal phasing as the Ford cap. I'm happy to inform you guys that its a fit. A good option for Duraspark distributors in Pantera applications. PUNKDOG here are the Duraspark items I purchased from NAPA a few years back after reading all the information on this forum. Stock vs. Duraspark side by side. 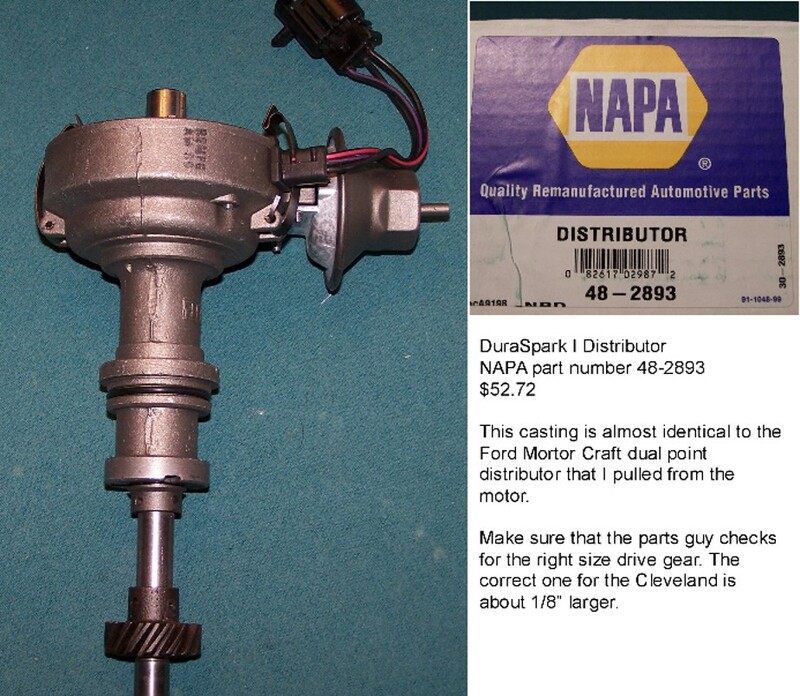 "I purchased the 1976 Ford Duraspark rotor for the smaller 4" distributor cap, SMP p.n. 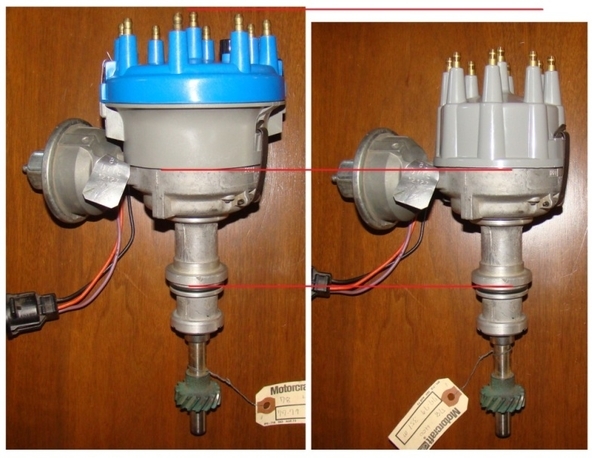 FD-115, and checked it on a NOS Duraspark distributor with the 4 inch International Harvester (IHC) distributor cap, SMP p.n. AL-482." FWIW, the versatile Ford electronic distributor's mechanical and vacuum advance curves can be tailored to your needs using stock or easily altered parts. The numbered pivoting weights and limit slots can be changed, in case the 460 Ford advance curve in most e-distributors is not to your liking, or they can be tailored with a gas welder and Dremel tool. I think there are 5 or 6 stock choices, besides changing advance springs. Stock Ford vac-advance cans are adjustable with an allen wrench. There are several articles in the POCA Archives on the details of this mod, including using a fail-proof e-coil in place of any of the can-of-oil coils. You'll have to do some experimentation on your combination; for instance, with aluminum SVO closed-chamber heads & SVO flat tappet cam in our 10.5:1 351-C, I found best power with 16 degrees initial advance and 28 degrees total. I shifted the whole engine/ZF backwards 3/4" on swapped upper motor mounts and now have lots of room for a big vented dizzy cap and late wires. The small move backward also made changing to a flat firewall access door much easier. I purchased the rotor via eBay circa August 2018. I like using eBay because I can acquire SMP brand parts that way. There are no independent auto parts retailers locally here in Ventura, only chain outlets like O'Reilly, AutoZone, NAPA, and CarQuest. I have been burned by each of them. 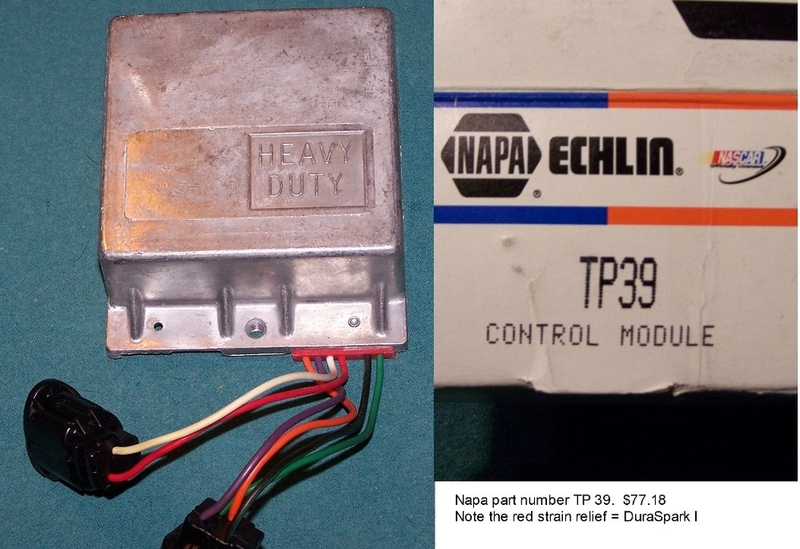 I've never been burned by an independent retailer selling SMP parts. ...I went Distributor-LESS with Computronix. No more Rotor to Cap Spark Gap. Very Small/Short Timing Unit replaces the Dizzy. Full Voltage to 12000 RPM. No 'Spark Scatter', No Backlash. Note the difference, Runs 'Smoother' on the Freeway. I would change-over again, without hesitation. Look it up on the Net, and come out of the 'Dark Ages', in My Opinion. The Timing Unit I Received, came with the 'Steel' Gear Installed, compatible with Roller Cams. I kept mine because I want the car original. If you want improved performance then go electronic. We buy these 6 at a time. 90 bucks. Install & go. Comes with two sets of 10MM wire sets, one blue to match original color block & red. Poor MSD. Their takin' a lickin' now. Australian Bosch copy, what's the module? i think i heard these have a 2 piece shaft that can be an issue?